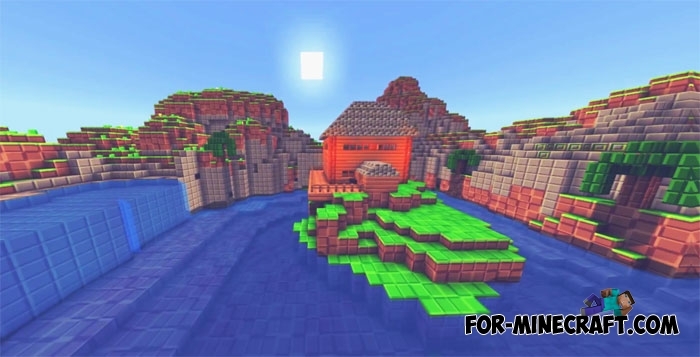 Minecraft is an excellent basis for the implementation of Fortnite since they have much in common. You can gather resources and build bases and shelters, and then fight and team up. 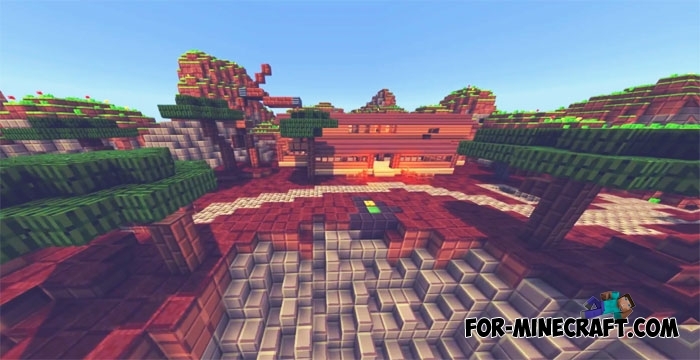 This map is the first successful attempt to recreate Fortnite in the conditions of Minecraft PE including many features. 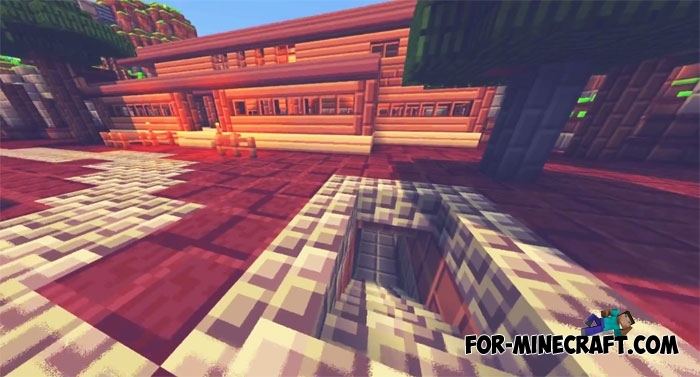 In addition to quality towns, the map contains thematic textures and custom objects. 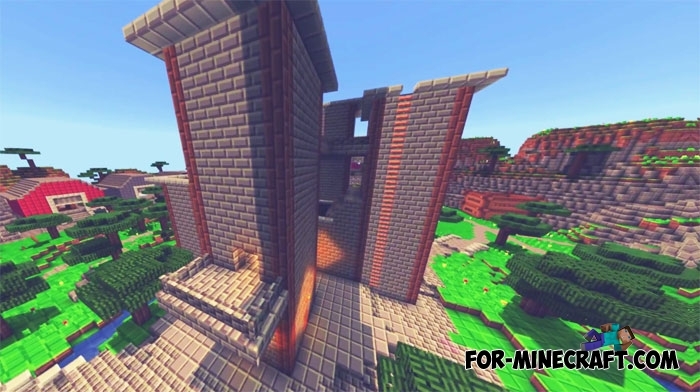 Thus, you will get into the Fortnite universe in MCPE and will be able to fight using weapons, build fortifications and win. Team game is one of the main advantages of the map, the combined players are able to fully experience the sensations like Fortnite's gameplay.